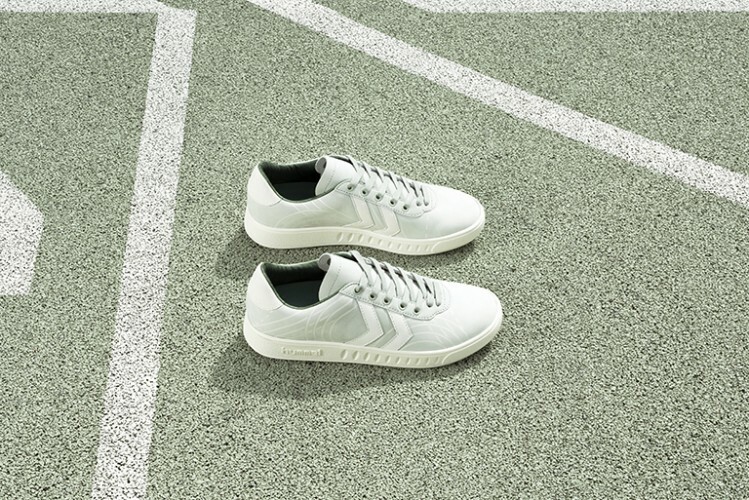 HUMMEL HIVE Super Trimm "Track Pack"
The new HUMMEL HIVE Track Pack sneaker is a women’s sneaker inspired by the iconic and clearly Scandinavian design aesthetic of Marselis Boulevard in Aarhus, Denmark. In relative proximity to the hummel HQ, this dwelling of high-rises now features a stunning newly built track court. 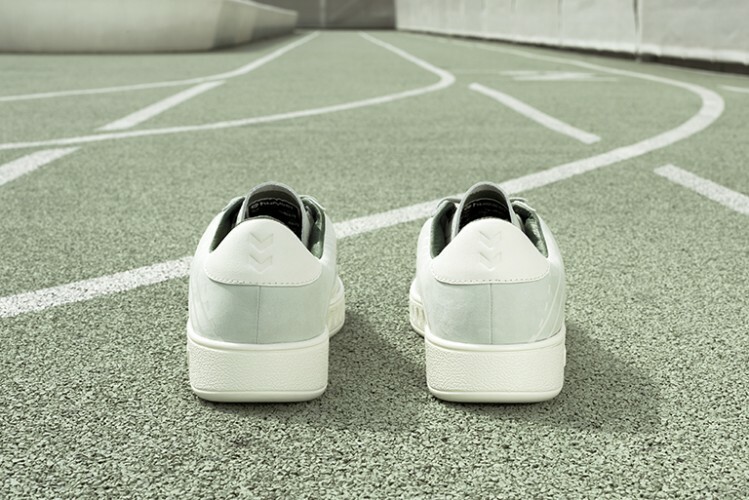 With faded green colours and white lines, the court at Marselis Boulevard has lent its colourways to the Track Pack, a redesign of the already popular Super Trimm OG. The result is a light and flimsy women’s sneaker with a more airy expression than many earlier releases from the HUMMEL HIVE series. The clean minimalist lines of Danish concrete buildings from the 60s combined with a modern aesthetic makes the Super Trimm Track a new must for female sneakerheads. With a nubuck upper finished off with smooth full grain garment leather chevrons, pigskin lining and flat waxed laces, this sneaker brings forth an attention to detail and a strict yet inherently urban and feminine design language. A pigskin moulded insock makes it a perfect fit for every sneaker fan out there. Limited to only 200 pairs. Available today at selected retailers.